0 to 50 Math Flashcards are in English and Spanish. 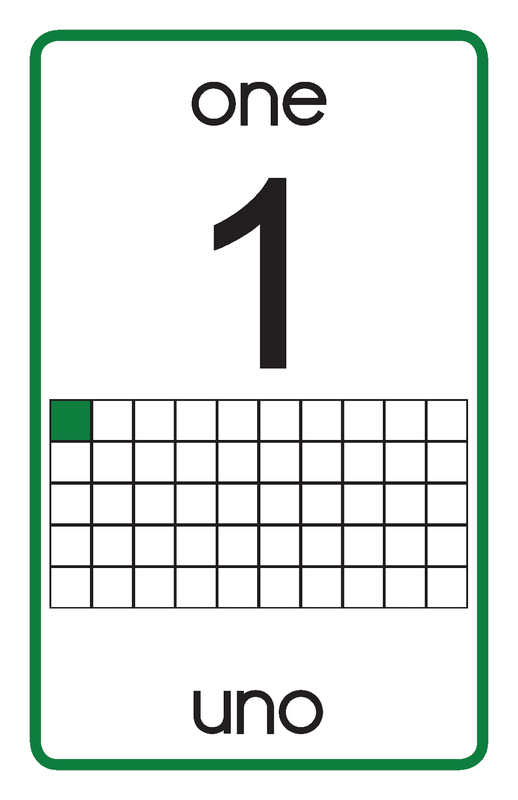 Each flashcard contains the number name, the numeral, and a shaded square using the ten frame layout. 0 to 50 Flashcards are perfect for bulletin boards, math centers, whole group instruction, small group, and one-on-one intervention. With 0 to 50 Math Flashcards there are endless hands-on activities students can complete. Students can practice one-to-one correspondence by matching the colored squares to the corresponding number of objects. 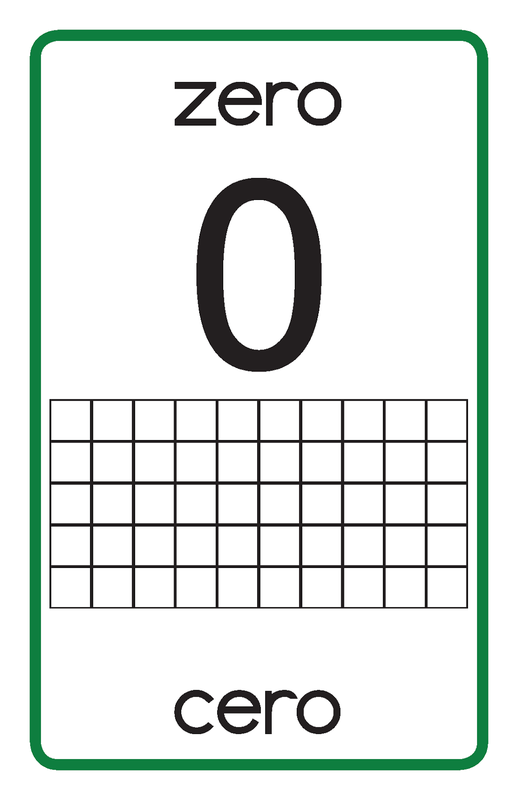 Students can practice meaningful counting by drawing a 0 to 50 Flashcard and then counting out the correct number of objects. Students can also practice placing the numbers in numerical order from greatest to least and least to greatest. 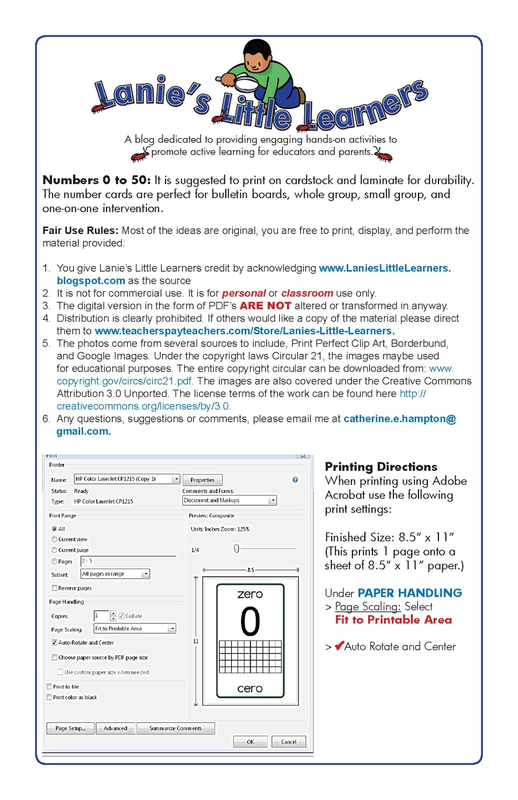 Each flashcard measures 5.5" x 8.5" but can be printed in several sizes such as 8.5" x 11", 3" x 4.88", and 2.31" x 3.72".